Formally, Austria is a neutral country since 1945, but in fact this country cooperates closely with the NATO countries. Many elements of uniform and equipment of the Austrian Federal ground forces (Bundesheer) are completely or partially taken from the United States Army Forces equipment. For example, one can't help mentioning M-65-type jacket, army backpack, helmet, soldier sapper shovel and other stuff ... Another example: the elements of the cut of the modern Austrian field jacket model KAZ-03 (Kampfanzug 2003), which replaced the uniform of KAZ-75 (Kampfanzug 1975) model, clearly resembles the F-1 model tunic-jacket of the French army (in particular, the cutting-in breast pockets with vertical zippers). But there are some uniform elements in which the Austrians have always relied on their own development. For example, one can mention the universal rifle Steyr AUG (Armee Universal Gewehr), which was developed in 1977 by the company "Steyr-Daimler-Puch" (current name: "Steyr Mannlicher AG & Co KG"). 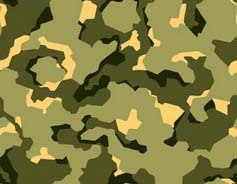 The Austrian Army boots (Bundesheer Kampfschuh) also belong to this category. Despite the fact that both Austria and Germany use the same German language, the combat boots in the two countries are called differently. 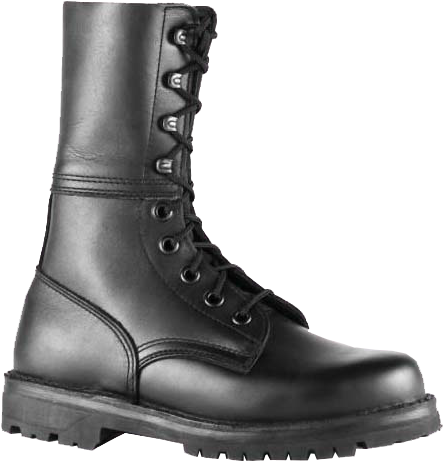 The colloquial designation of army boots in Germany is "Kampfstiefel", literally "combat high boots"; in Austria the term "Kampfschuh" ("combat boots") is traditionally used. This is due to the fact that until the Anschluss of Austria by the Third Reich, and, in particular, during the First World War, the Austro-Hungarian, and later the Austrian army made use of low boots with gaiters, leggings or windings. In contrast, the soldiers of the German Reichswehr, and then the Wehrmacht wore high boots - "Knobelbecher". This word can be translated as the "cup of dice", an allusion to the fact that the bones of soldiers' feet dangle in a hard boot as the dice in a cup). That was very reliable and sturdy boots of tough thick skin, lined with metal nails and horseboots on the toe and heel, narrowed near the malleolus bones and expanding to the top. 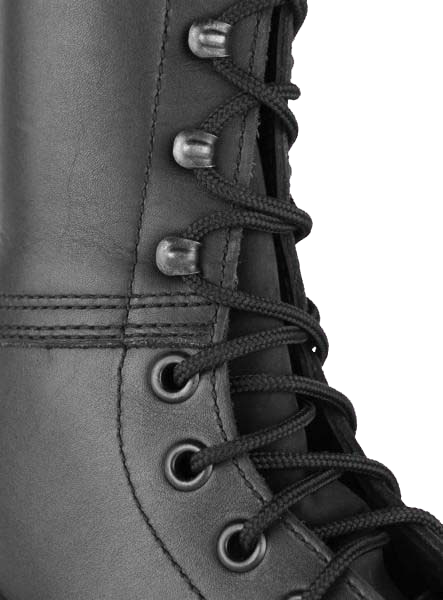 This design allows good fix of ankles, while wide top allowed air circulation inside the high boots, and also served as a kind of extra pockets for such essentials as soldier's assault knife or long handle grenade, etc. Such problem does not exist anymore in modern German "Bundeswehr", and in Austrian "Bundesheer" as well. 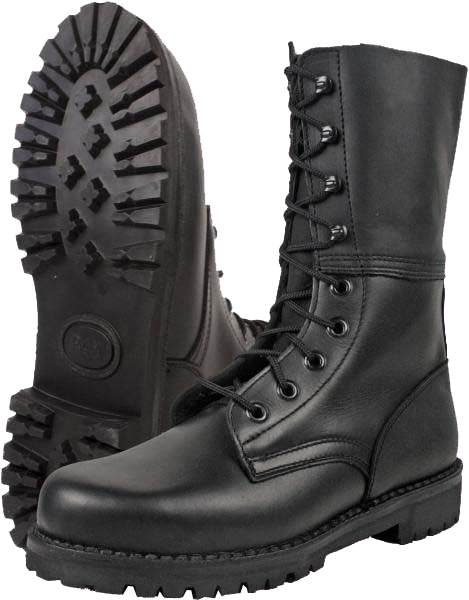 For many years the modern army boots are manufactured with the lining of durable and soft "glove" leather (i.e. specially treated), and come with the inserts of foam rubber or similar materials. Austrian army boots, taken as a whole, are traditionally subdivided into four types: mountaineering boots (Bergschuh), heavy boots (Schwerschuh), light boots (Leichtschuh) and "canvas" boots for hot, dry or humid climate (Segeltuchschuh). Light leather boots have a traditional Austrian tailoring - in fact it's low boots with leather upper, stitched so to form a single boot construction. This style is used in the Austrian boots exclusively. A distinctive feature of this style is that the leather topper part represents by itself a strip of leather wrapped around the leg, without a rigid seam behind. On the one hand, the absence of the rear seam in the Austrian boots led to the appearance of another seam in the middle part of the boot's top - at the intersection of "upper" and "lower" parts of the leather uppers. In general, each additional seam in the boots construction is just a "weak point" that can resist the ingress of water only for quite a limited period of time. In addition, the top of the Austrian old-style boots, both "light" and "heavy", was very thin and soft, with time it becomes even softer and fix the ankle weakly, which increases the likelihood of injuries and sprains.